So on Sunday afternoon I went up to my Gramma’s and managed to to take a few outfit pics. As always, I’m in love with all the light and shadows. And the glimpse of real(not built up) Florida in the background is always a breath of fresh air for me. 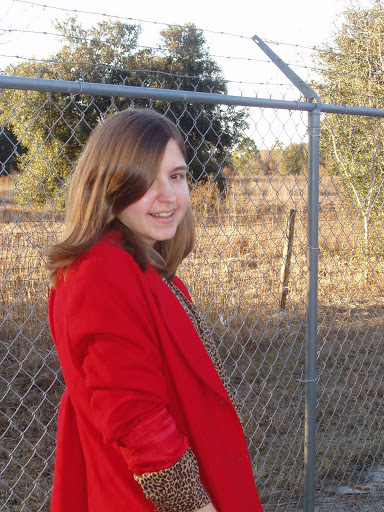 Since it’s been kinda cold I decided to don one of my favorite red wool coats. I always feel a bit like a cardinal when I wear it, which is a always a good thing. p.s. I just went thrifting and got some amazing things, among them an amazing 70’s maxi that I will be doing a post on next week, so stay tuned! Also I’m wondering if any of you know what phrase I drew the name of my title from. Update: Ariel got the phrase right, ‘red letter day’. I definitely recommend you all check out her blog it’s full of art and color and is one blog that I enjoy immensely. Check out her blog here. LOVE THIS OUTFIT TOO! WOW! You really have great style girl! 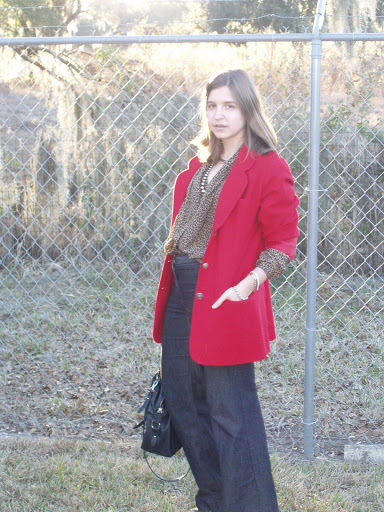 I love the red, the pants and the blouse! Great mix of color, print and lines! AWESOME! Hey pants again! Love that second shot. 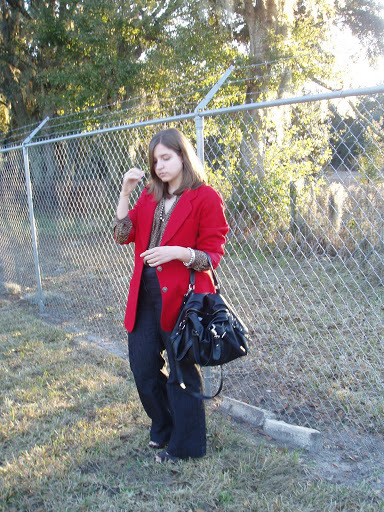 loving the red blazer – fabulous !! love thrift store shopping! thanks for the comment girl! hope you follow and if you find something on the site you love let us know for a discount coupon! i love the leopard shirt and the red blazer! such a great combo! I love that shirt. Leopard and red work amazingly well together!!! I've always loved the combination of leopard print and red! how cute do you look?!? if you love vintage clothing and I think you just might, you should come check out our website! we add new stuff each week! Loving the leopard & the red! Such a classic gorgeous combo! you look great! Red Letter Day?? Perfect combination! !